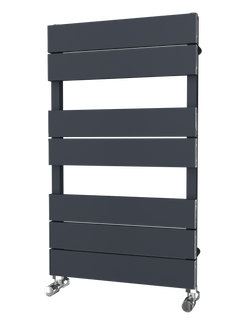 The Kensington - Double Flat Horizontal Radiator has a lovely simple design, with flat panels running horizontal creating a sleek, and subtle look. 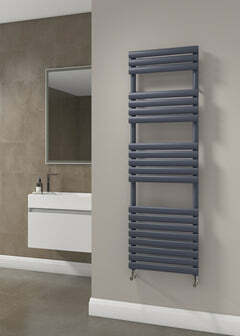 Due to it's subtle design, the Kensington would look great in any room in the house. This is for the White finish. 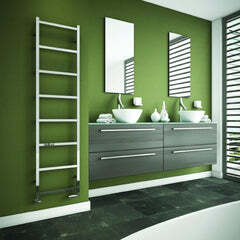 The Chingford - Vertical Aluminium Radiator has a beautiful flat panel design which is extremely popular amongst modern designer radiators. The Chingford has some amazing BTUs meaning that i can heat many different sized rooms. 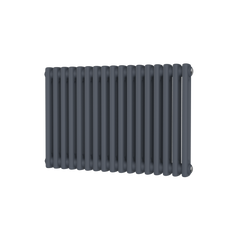 The Chingford Aluminium Radiator is available in two amazing finishes White and Anthracite making it easy to match up with any modern house design.